There used to be, in the days of yore, days that were composed of working life followed by ‘normal’ life, i.e. the 9 to 5 day. Kids went to school on their daily time schedule, and dads went to work from 9 to 5, and the family would eat supper together at some point. Now we all work. At all times. During all days of the week, including Sundays. It’s ridiculous and none of us really enjoys it but … what to do? what to do? We just have to get on with it and get by, grow, and hope for the better. Even so, I find it very irksome that I should have to deal with the mundane aspects of running a home on a Sunday – think washing machine loads, hanging out the laundry to dry in good weather, using the dryer when the weather is less clement, tidying, de-cluttering, ironing, sorting out and generally trying to make a better place of the space one lives in. It’s exhausting. And yet it must be done. And at some point one gets hungry, and one must eat. And this, then, is the Sunday lunch recipe for when household duties rule the roost and leave little time for anything special. 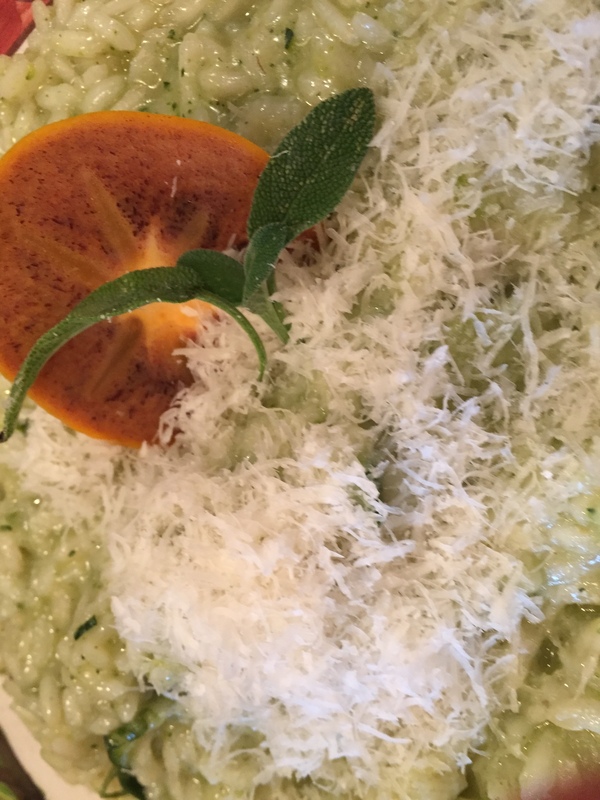 But, because it IS a Sunday, our repast MUST somehow be special … and here is the result. 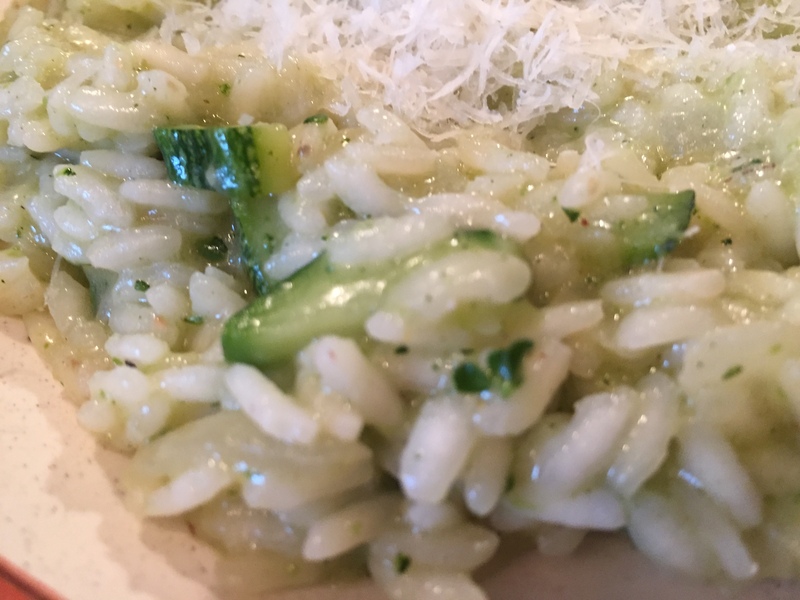 The ingredients are dime-a-dozen desultory and available to all (save perhaps for very good extra virgin olive oil) but the end result is more than the sum of its parts and speaks of defiance and says ‘we shall overcome’. Yeah. 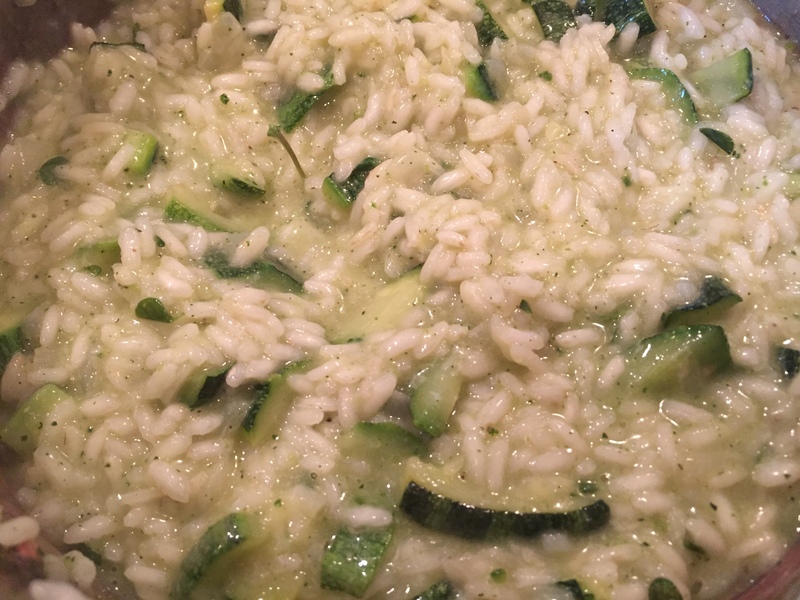 Three large courgettes/zucchine. 1 onion. 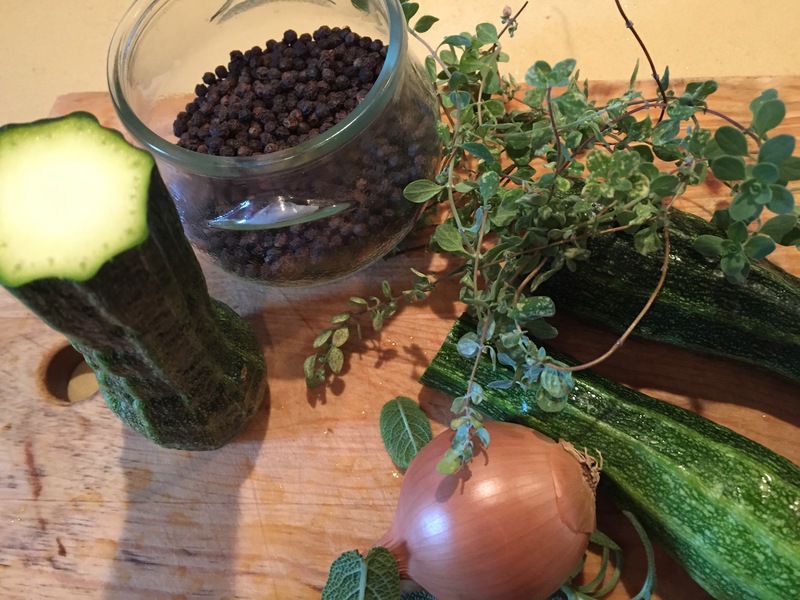 A few black peppercorns. Some marjoram. Some sage. Salt. 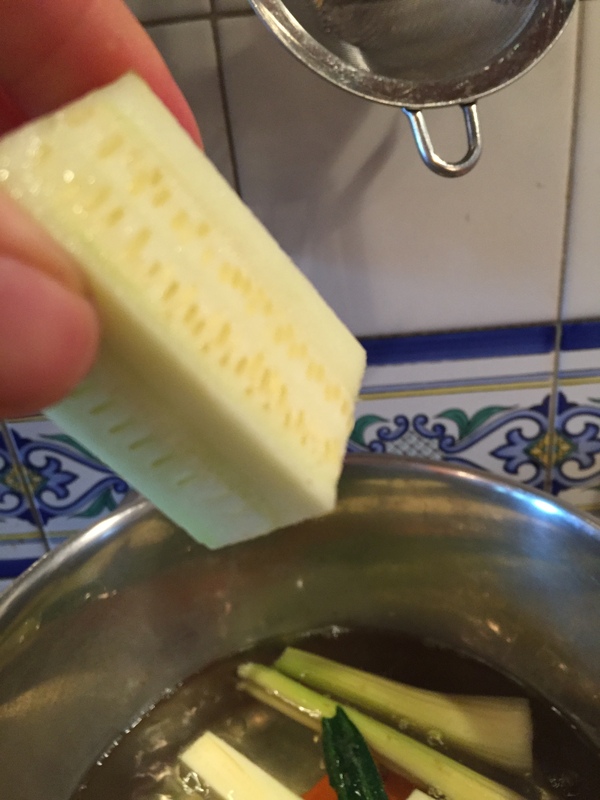 About 2 tablespoons of butter. 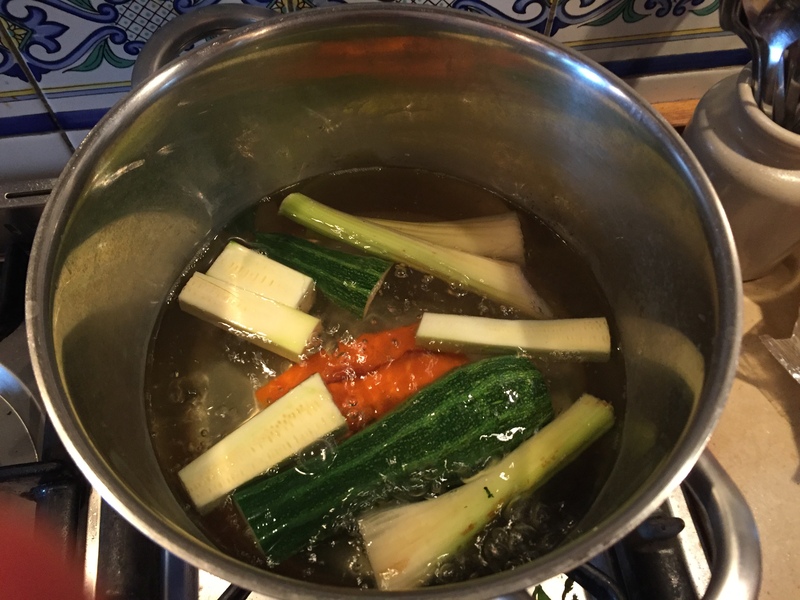 Plain vegetable stock/broth: made up of celery sticks, carrots and 1 courgette/zucchina. 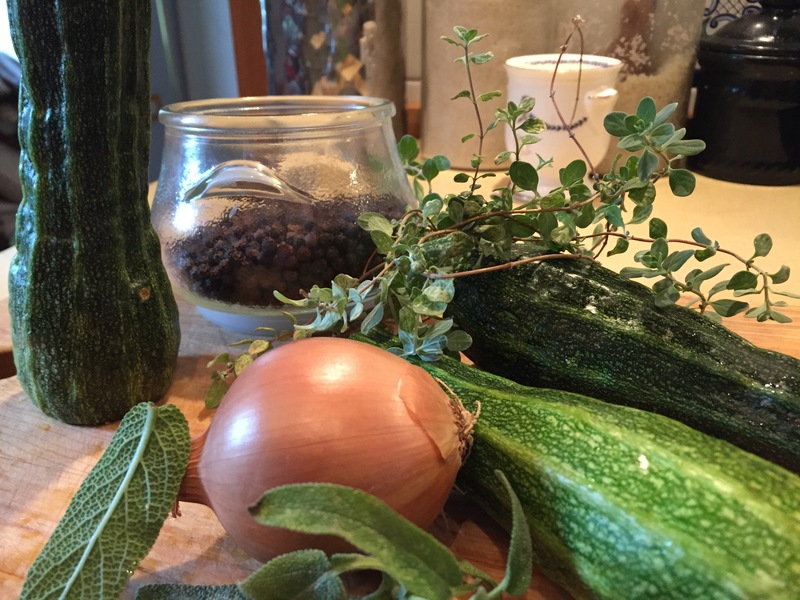 So, back to our ingredients. 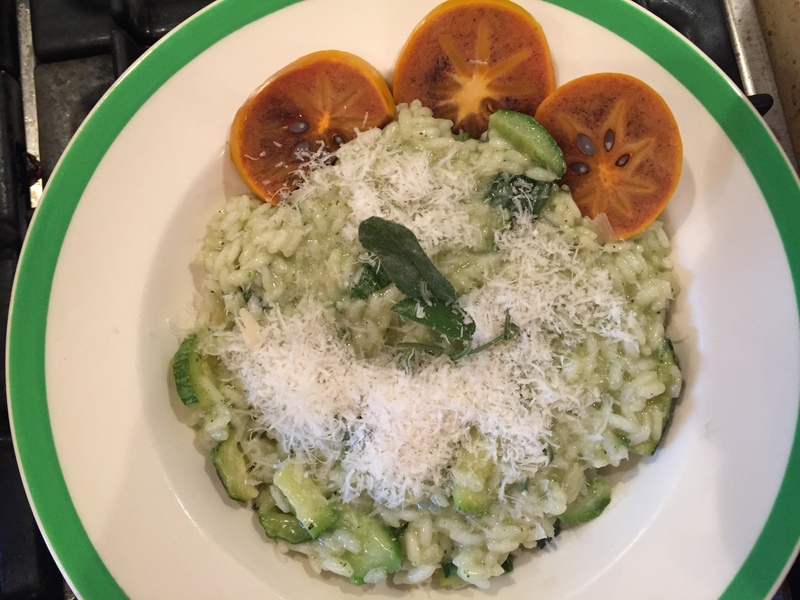 There are 3 large courgettes. 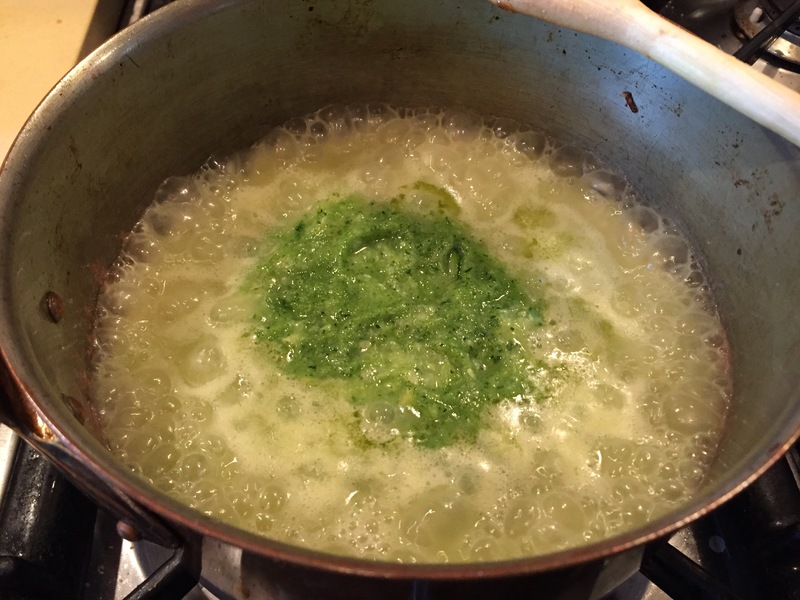 I of them needs to simmer in the vegetable stock, whole. 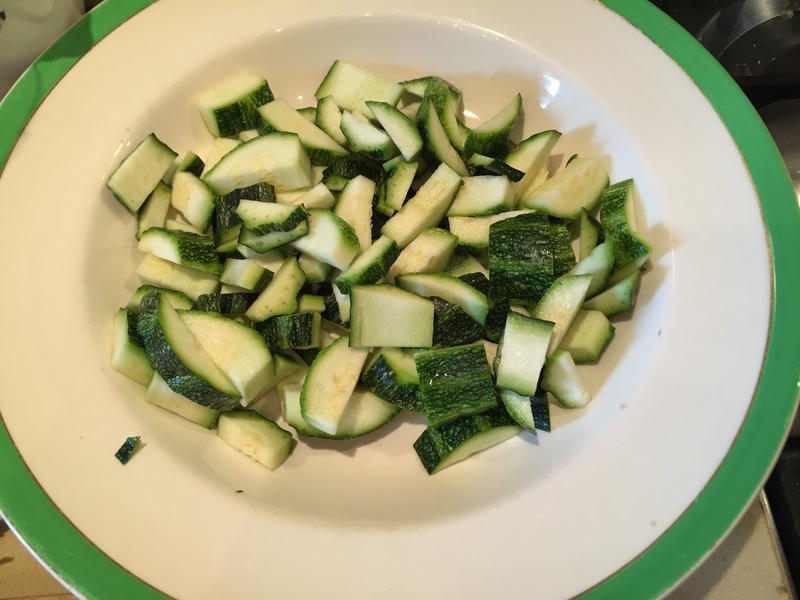 The other two courgettes need to be cut in such a way that we utilise only the green part of the vegetable and hardly any of the white part. The ‘wedge’, that big white thing you see in this photo …. Here is a close.up. 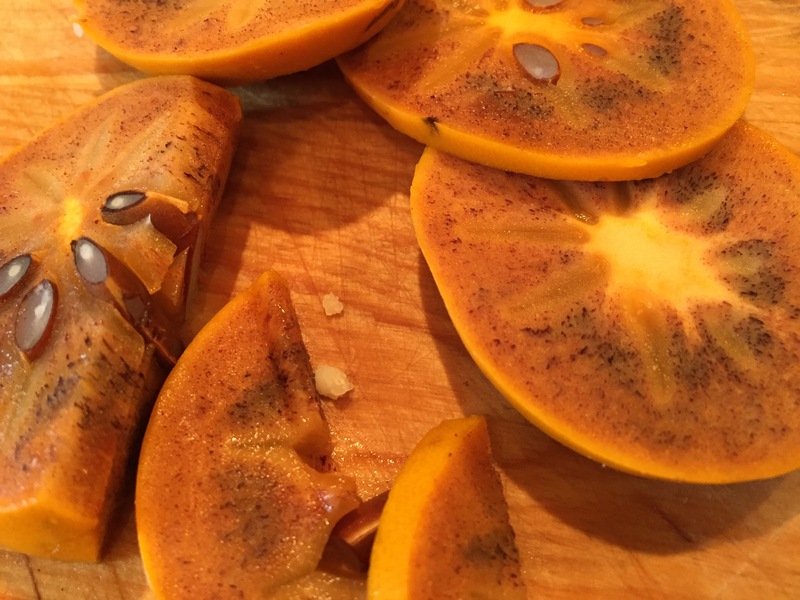 They represent the unsexy part of the vegetable, taste of nothing, and are basically good for nothing and would normally be thrown away. 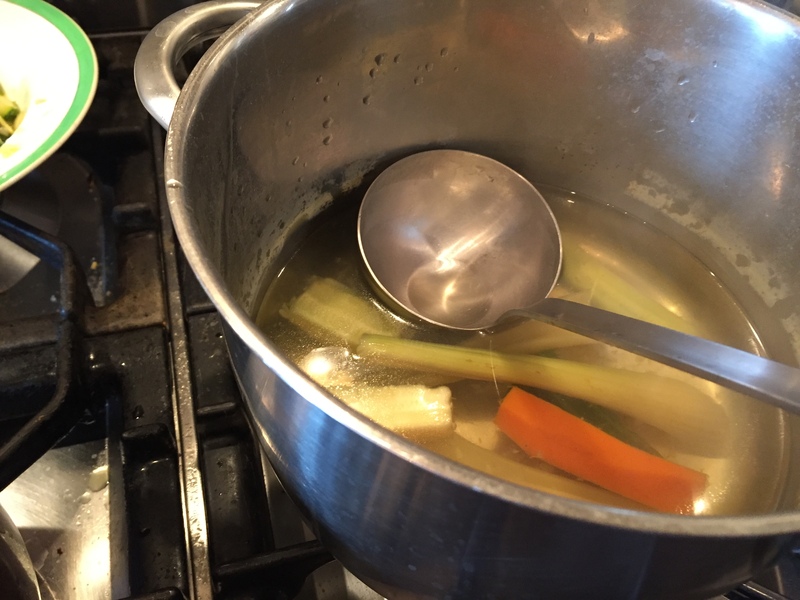 But since I was making a vegetable stock … I added these white leftovers to it. 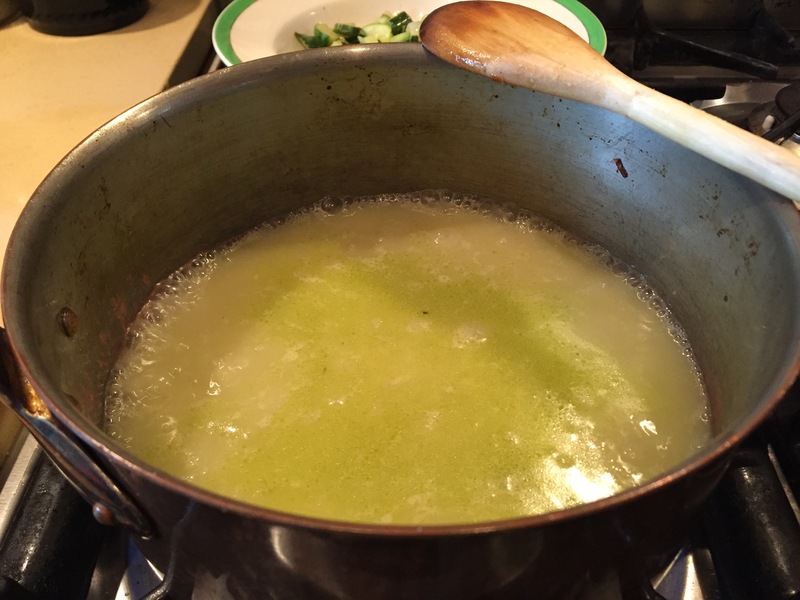 The vegetable stock simmering away (for about 15 minutes). 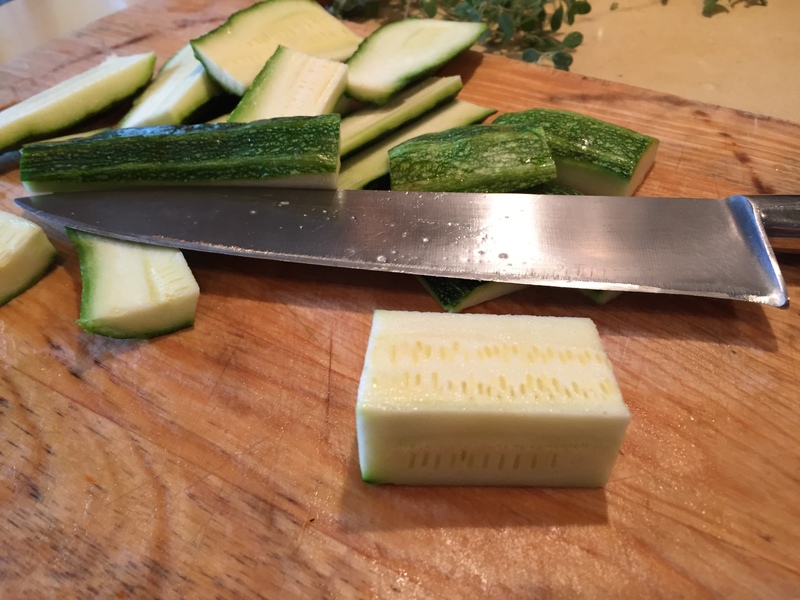 Here are the other two courgettes, roughly sliced, and ready and waiting.. 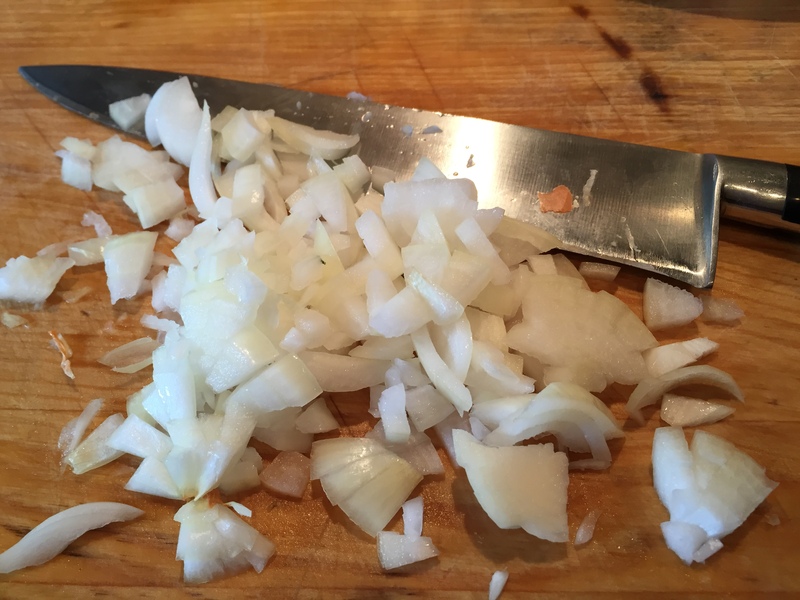 The onion is the next one to get the chop. And now we can begin. 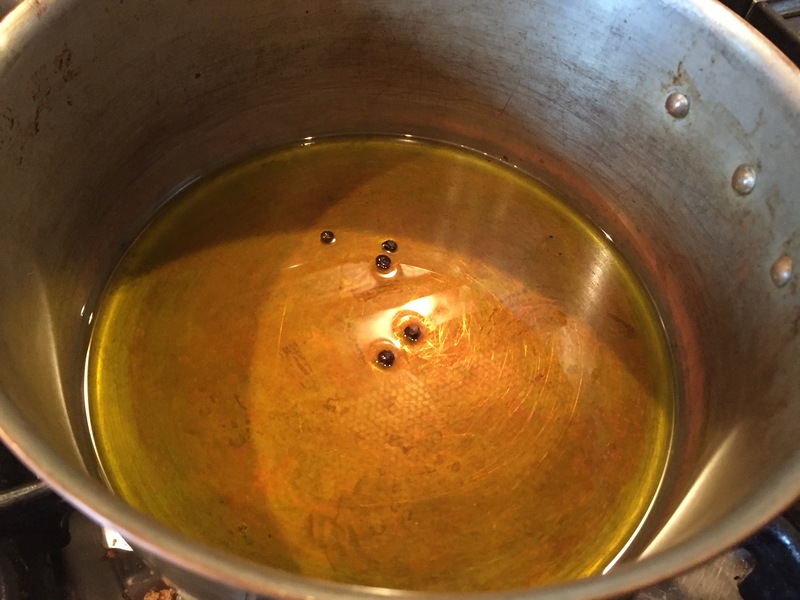 Place some peppercorns in a saucepan, together with plenty of olive oil. 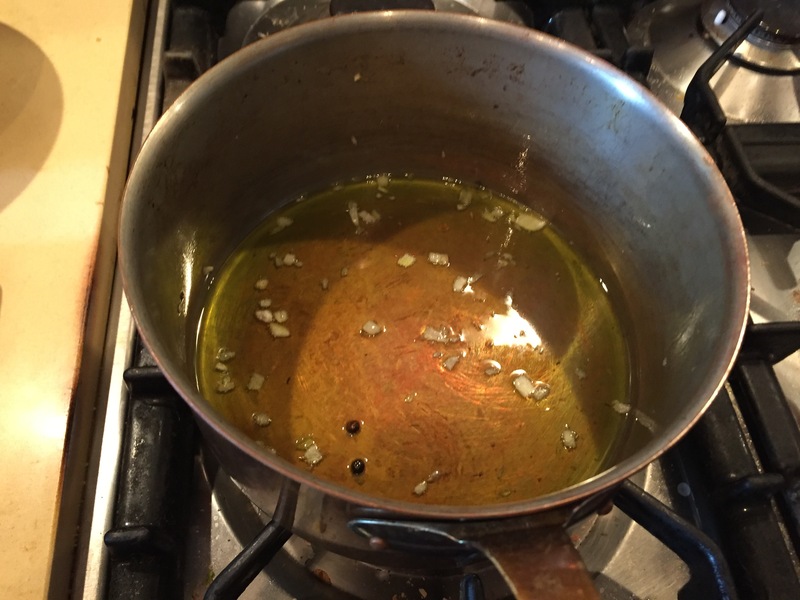 And yes, it does have to be olive oil, preferably evoo (extra virgin olive oil). 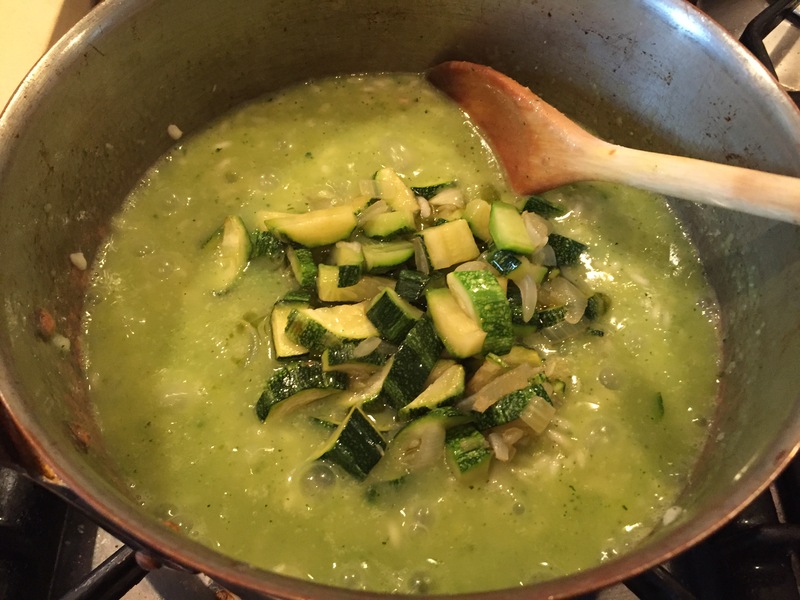 Turn the heat on, and add the onion and the courgettes at the same time and cook over a fairly high heat. 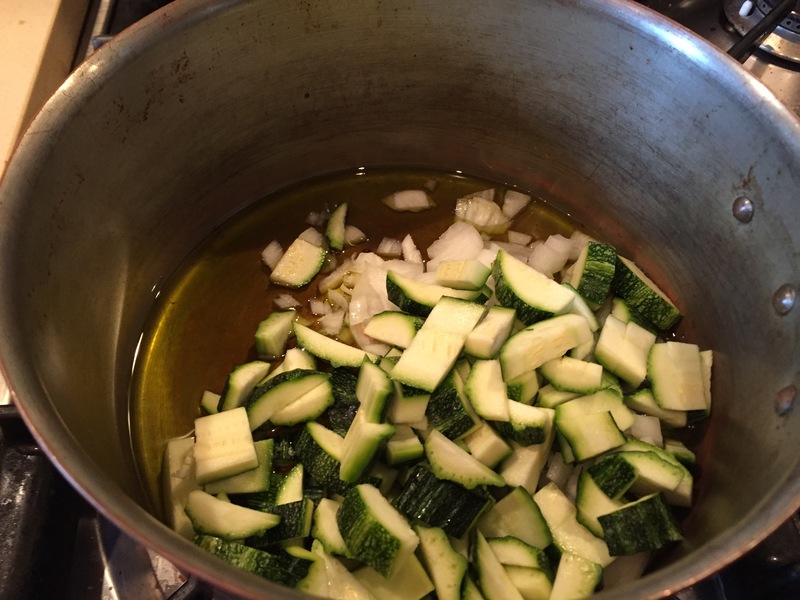 When the onion and courgettes are cooked … remove from the pan and place in a plate, and set aside. 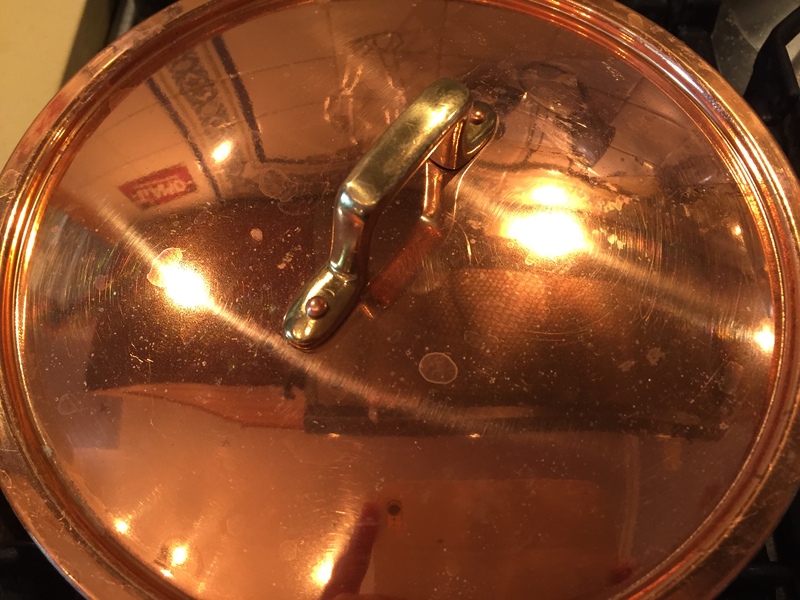 This is what is left back in the saucepan. 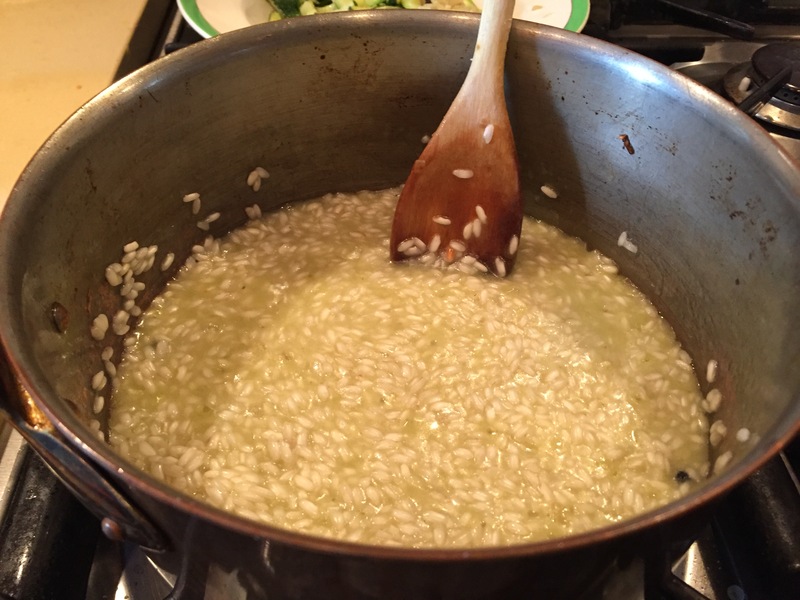 Now add the rice (this was Carnaroli rice – but you could use arborio or vialone nano, so long as you use Italian rice). 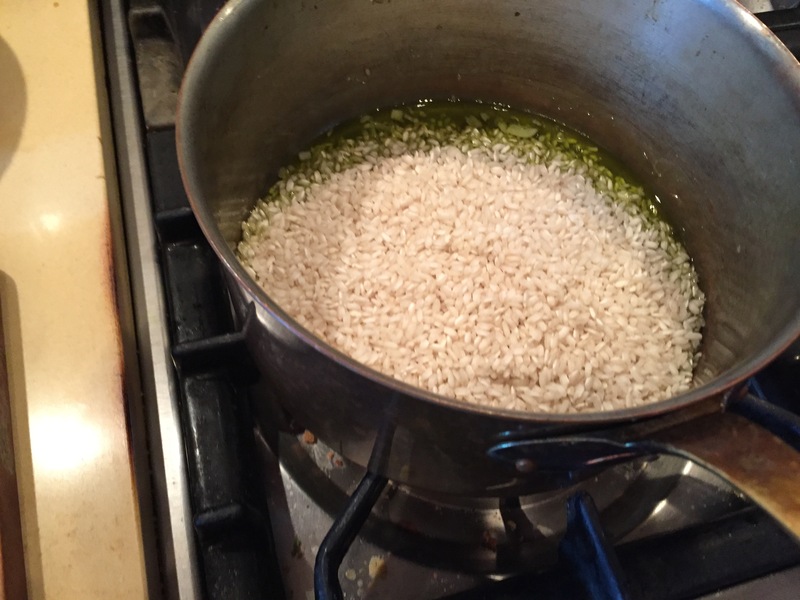 Turn the heat on, to toast the rice. 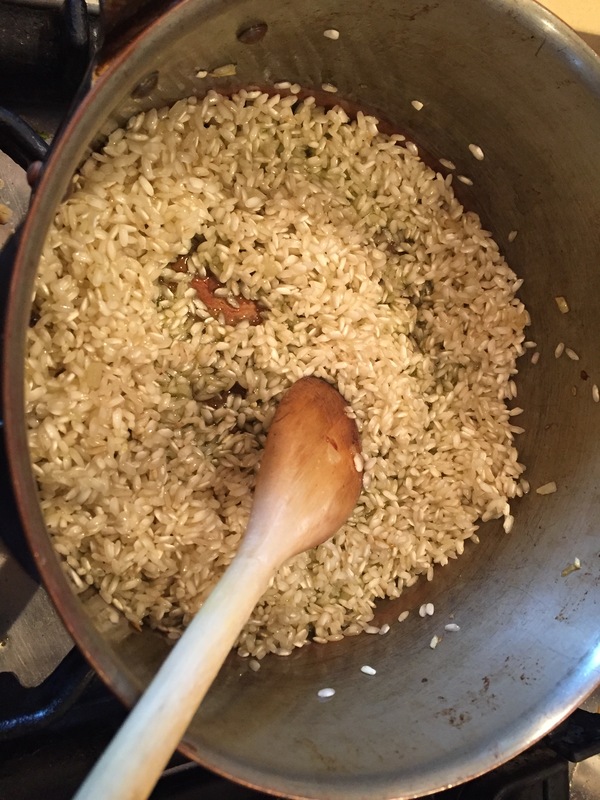 Toast the rice until most of the rice goes transluscent … And then pour about a glass of wine into the pan … and watch it sizzle and steam as it hits the heat! 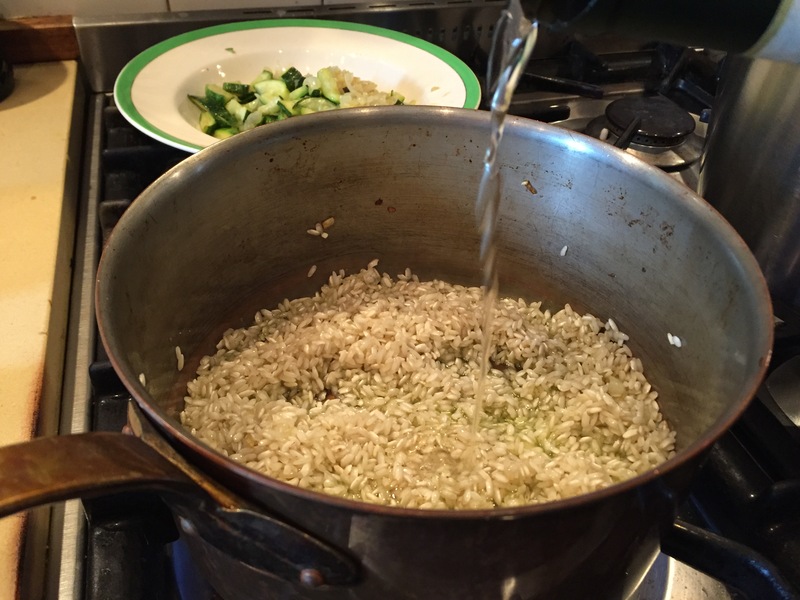 Add one ladle of the vegetable stock, and stir the rice until it has absorbed all the liquid. 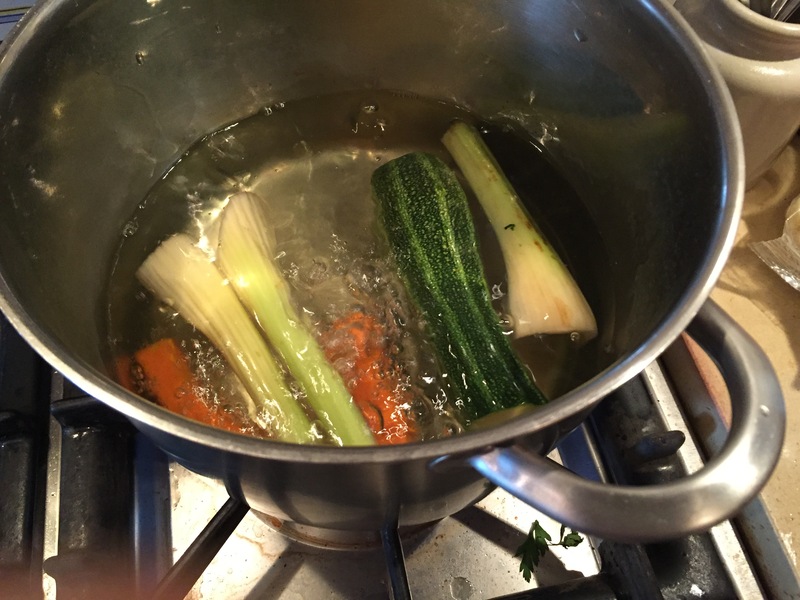 I didn’t bother to remove the veggies from the stock. 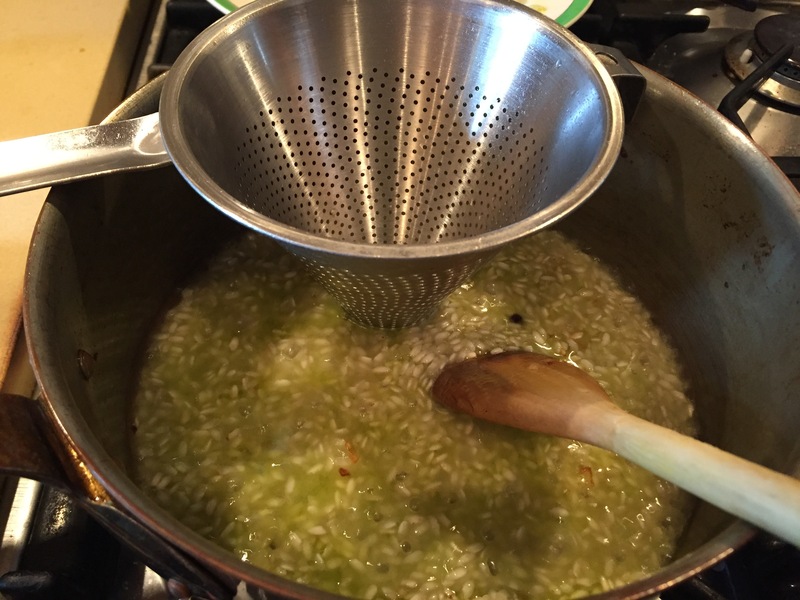 So I used a cone-shaped colander to filter the liquid. See? 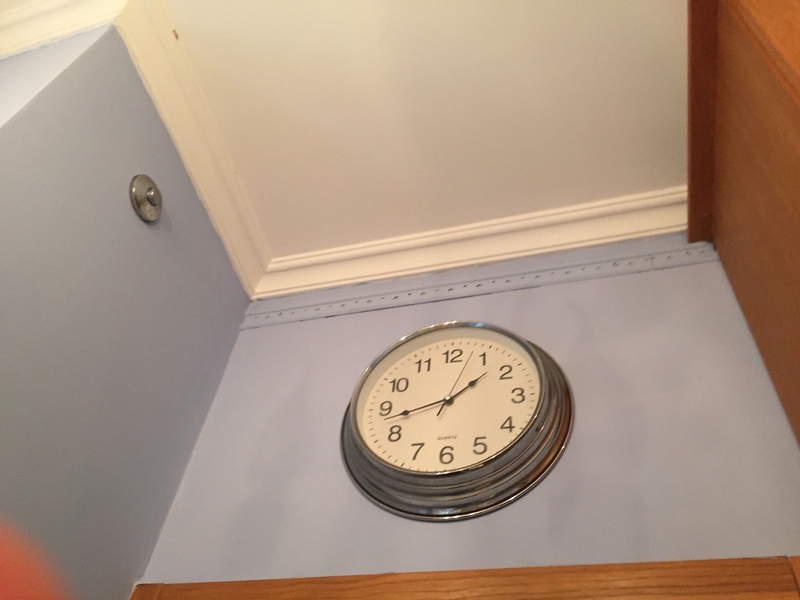 Do this a second time – i.e. 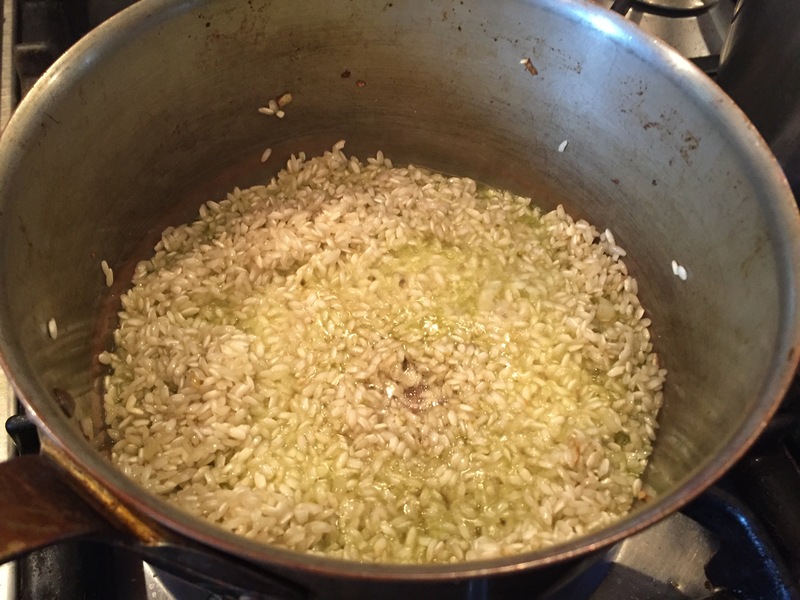 add enough stock to cover the rice, stir with a wooden spoon until all the liquid is absorbed by the rice. Now add a good pinch (or two, or three even) of good quality salt. 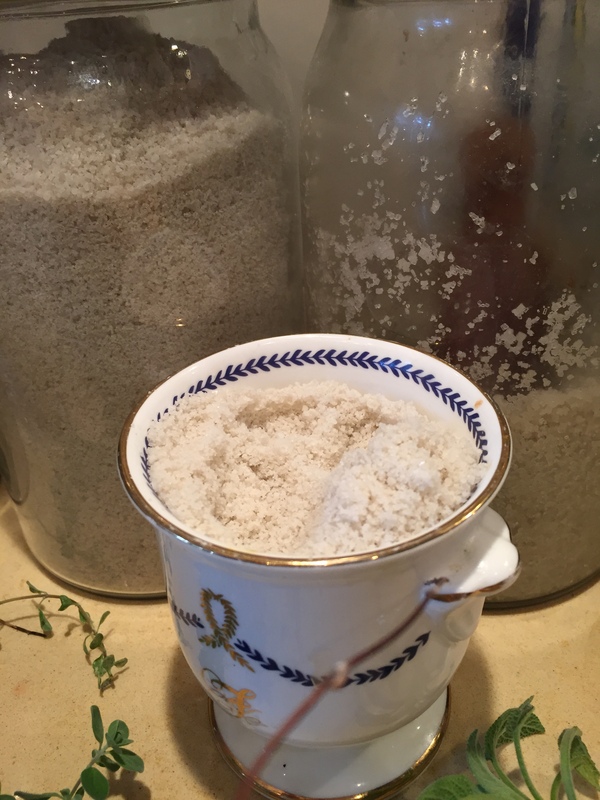 I tend to use Celtic salt mostly (sel de Guérande). 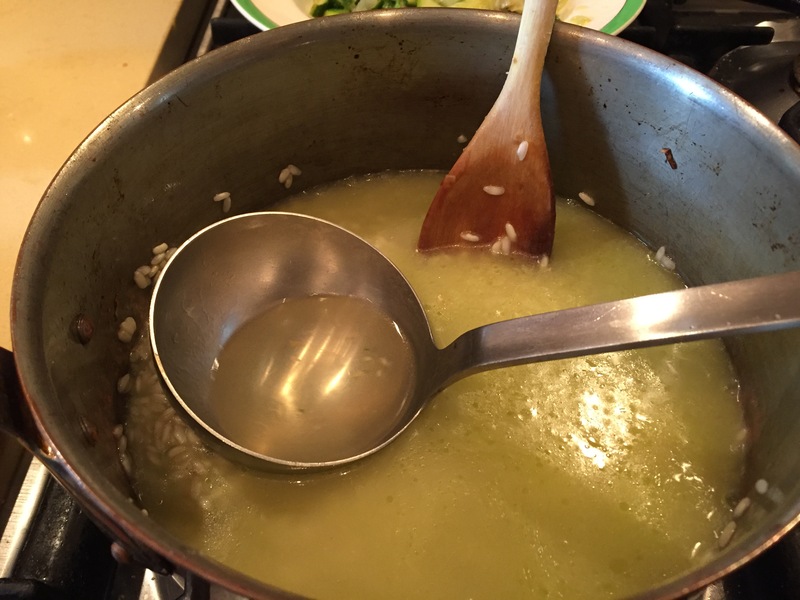 Stir … At this point, the risotto can handle itself for a while. 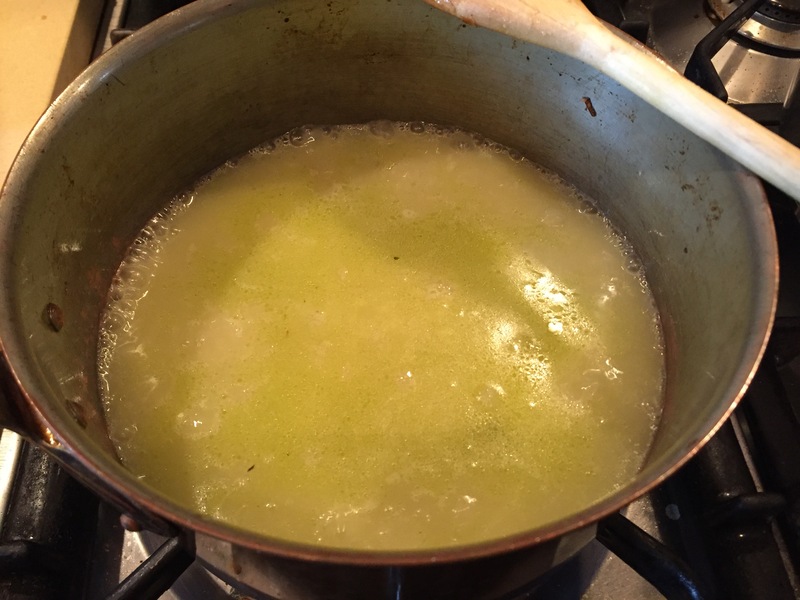 Pour more stock, enough to cover it by about 1 inch … And while it toils and bubbles … It’s time to deal with the one courgette that had cooked in the stock. 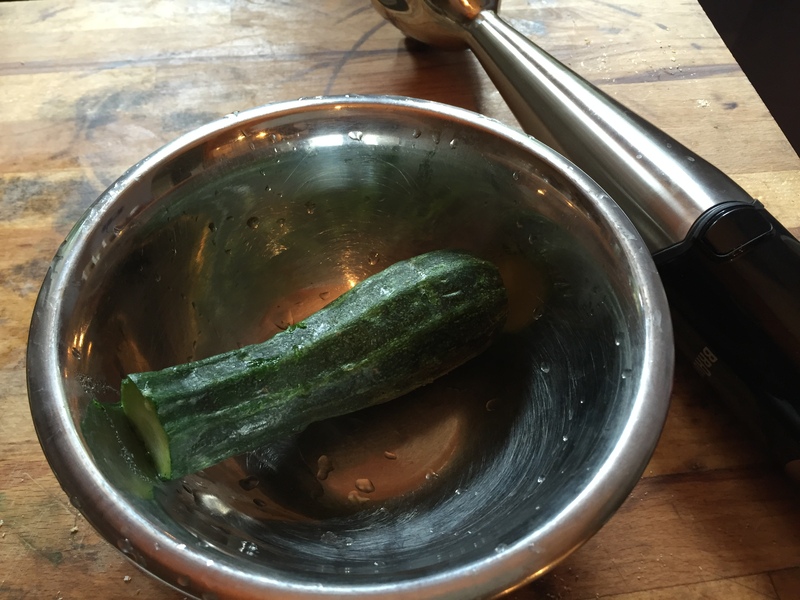 Add a pinch of salt, and then process it with an immersion blender. 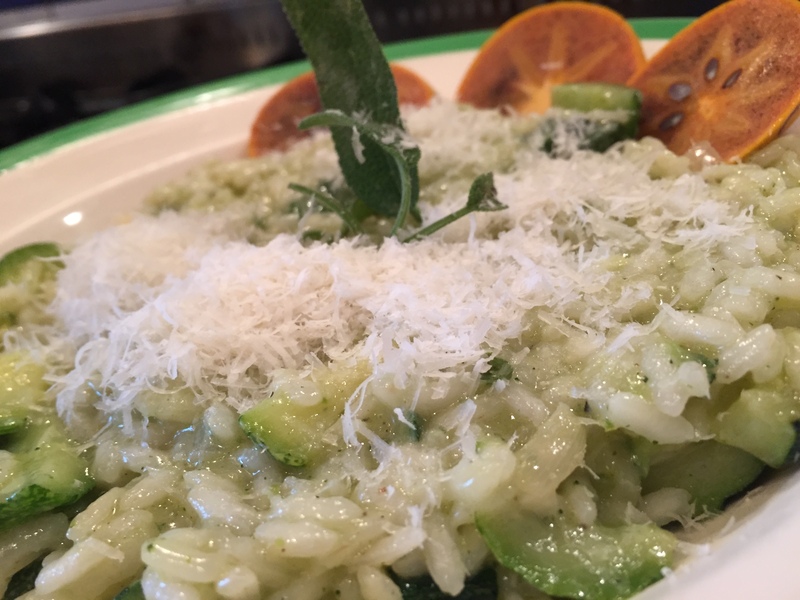 Add it to the risotto, stir and carry on cooking. 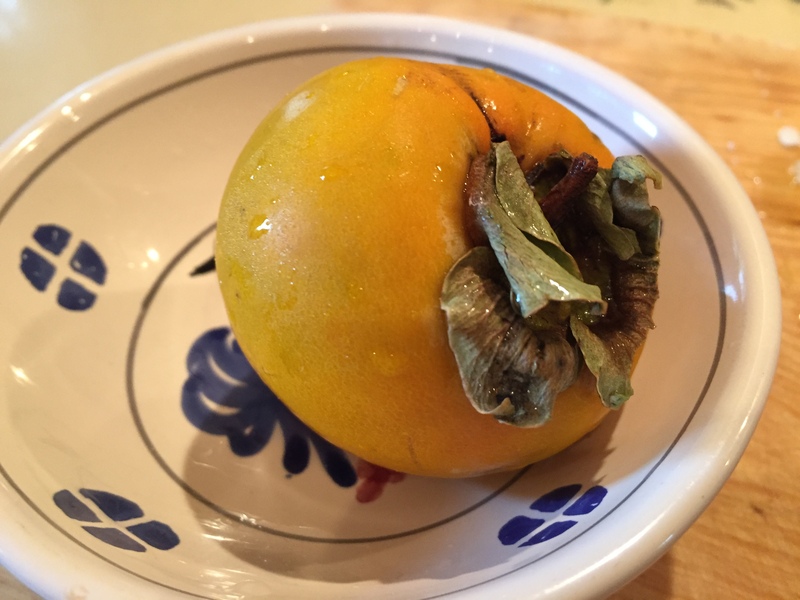 There was a brightly coloured, rather cheerful looking persimmon just waiting to be used up. 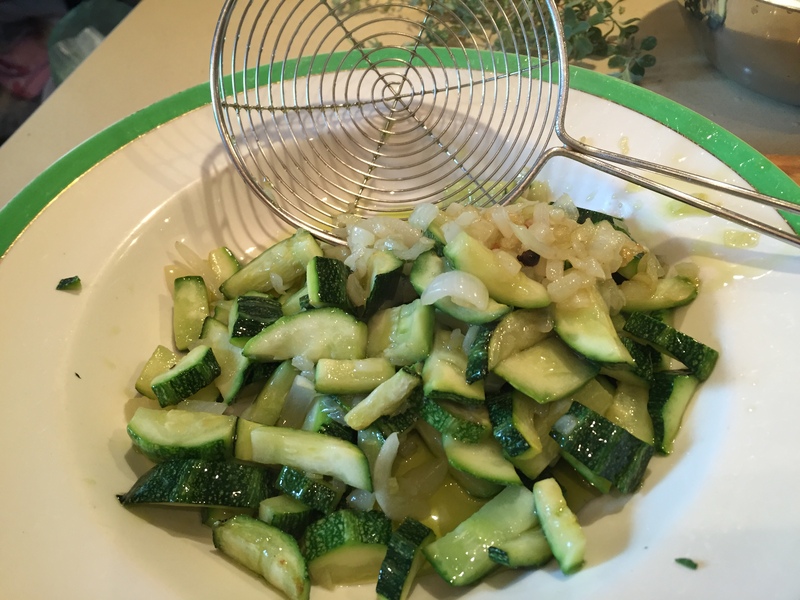 About 5 minutes before the end of the cooking time, I added the previously sautéed courgettes and onions. It was time to stir now. 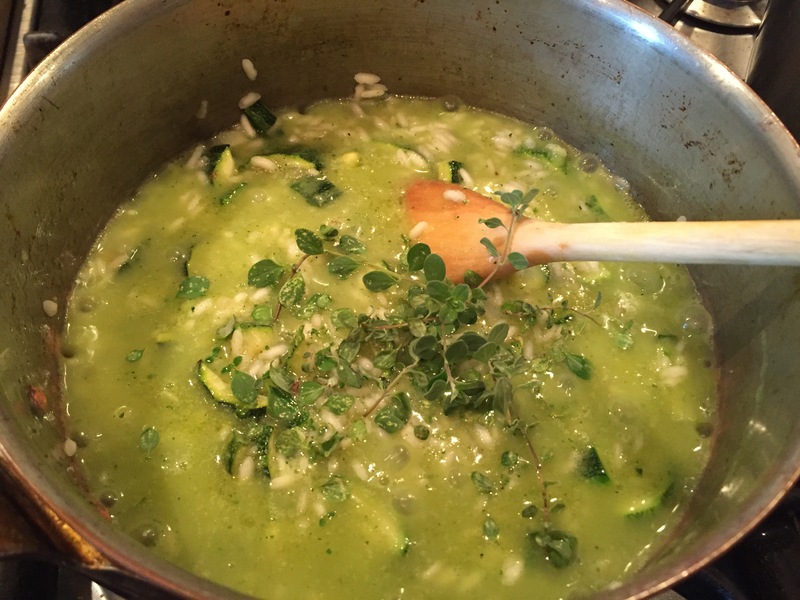 Just 1 minute before the end of the cooking time, I added the herbs. 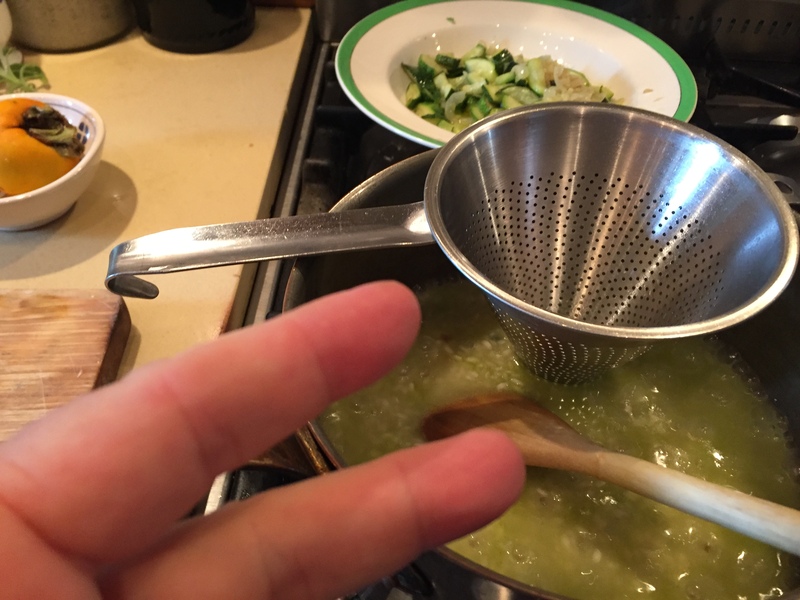 I stirred them in. I switched off the heat. 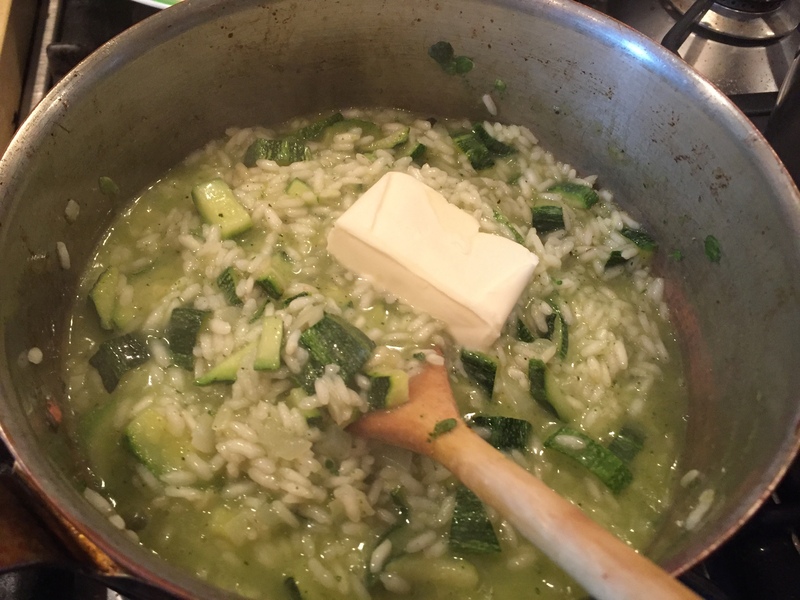 Added the nice big lump of butter. 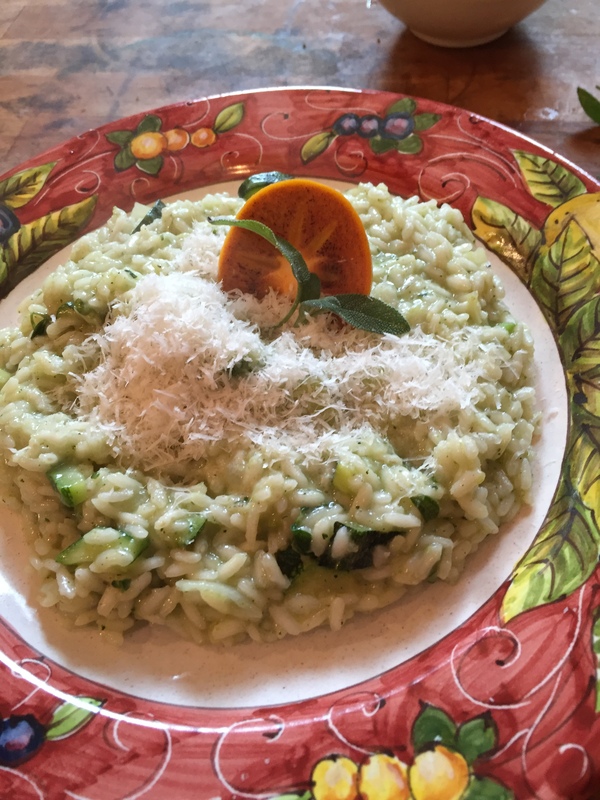 And smiled with glee as it melted into the risotto. 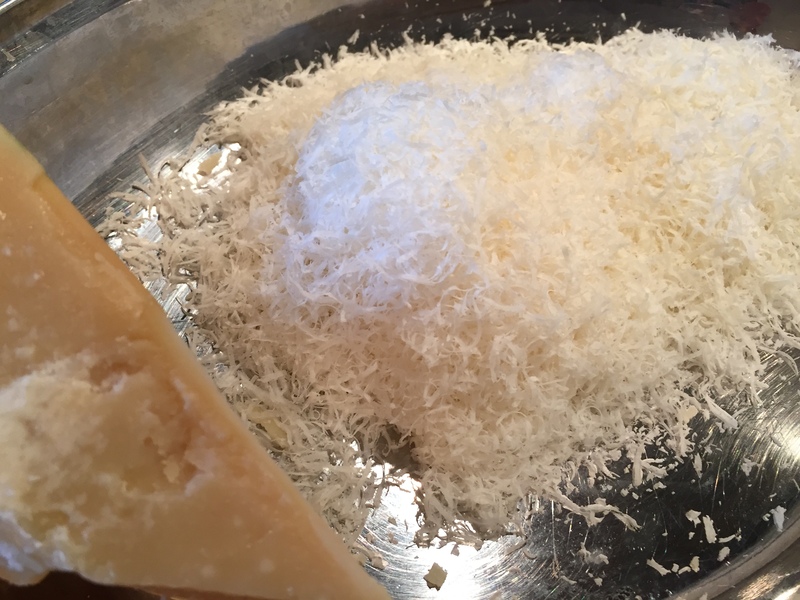 Once the butter had melted, it was time for the grated parmesan. One final stir, and it was now time for a little rest. 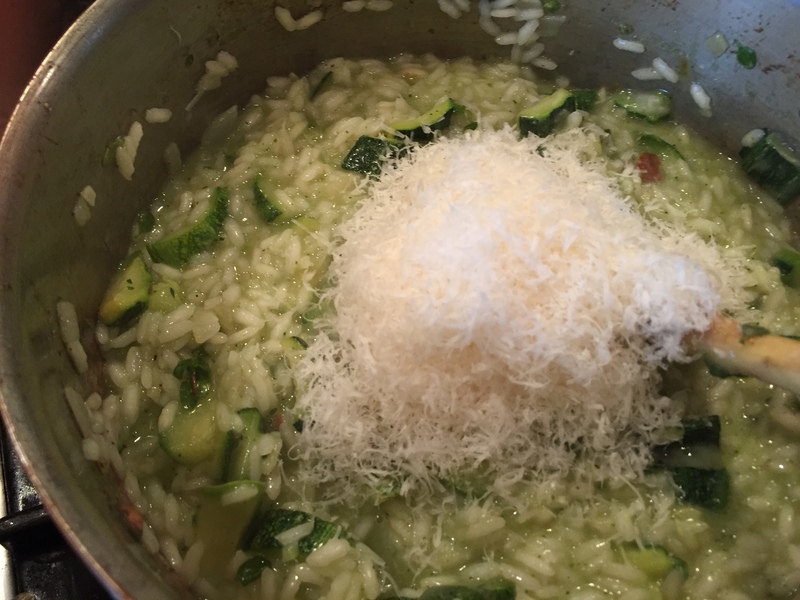 I covered the saucepan with its gleaming lid and left the risotto to ‘mantecare’ (to rest) for about five minutes. 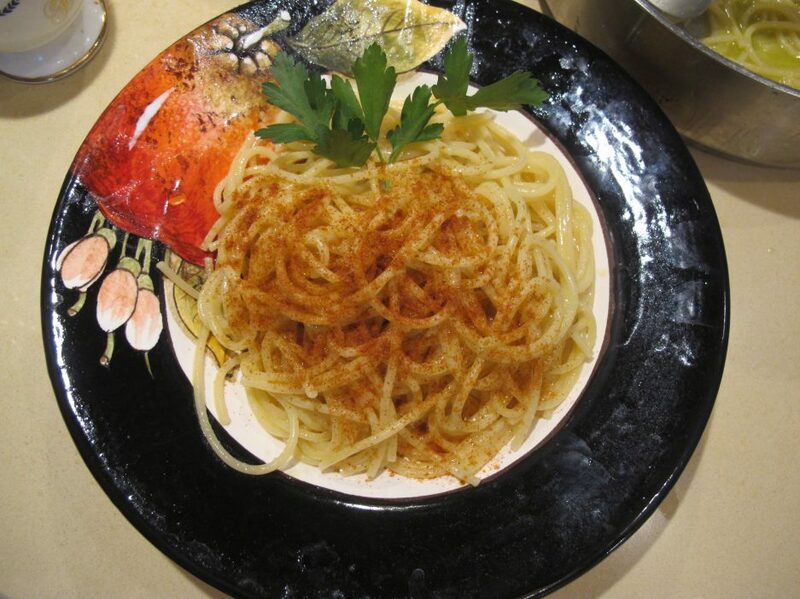 Served on the plates and ready to be enjoyed … Plate number one. Plate number two. 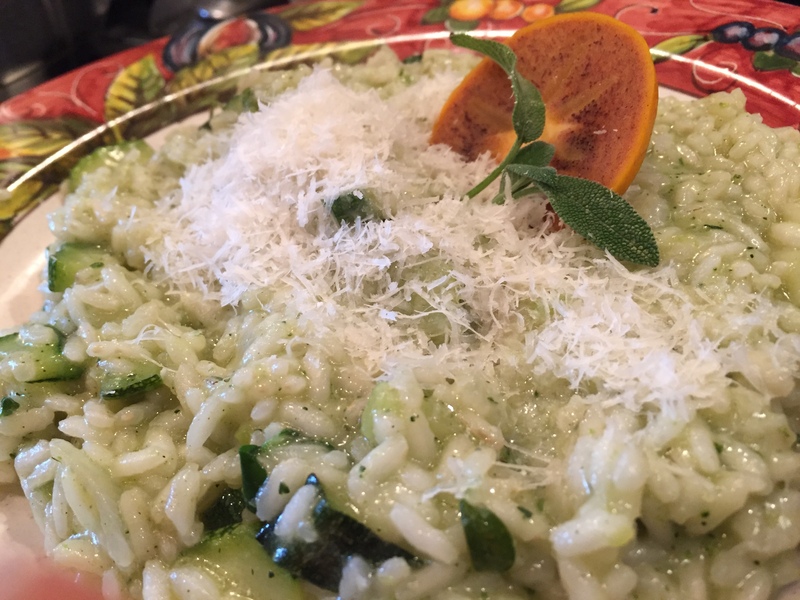 And yes, the persimmon went very well with the risotto over and above providing some good cheer for the eye. It’s the little things in life that make the difference. 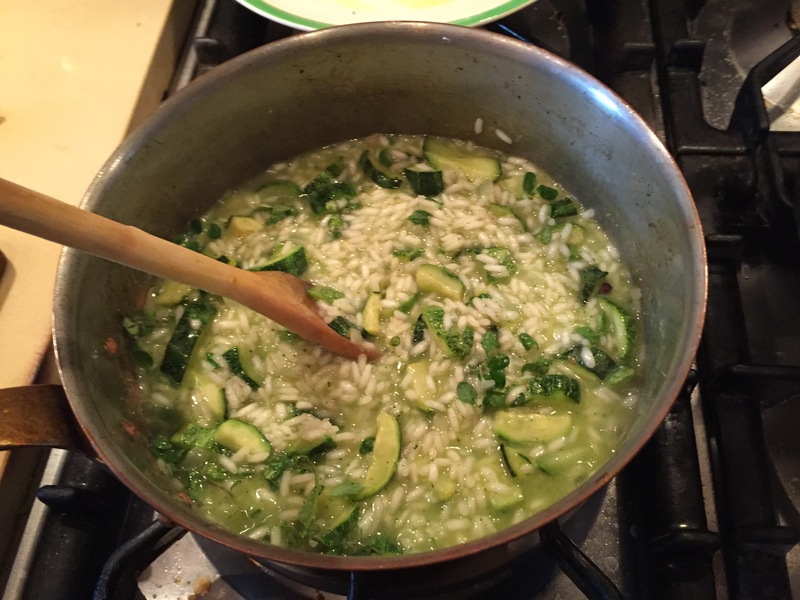 Humble courgettes, vegetable stock and rice somehow banded together in perfect harmony and made Sunday lunch a nice one. Miss you too, bella ! 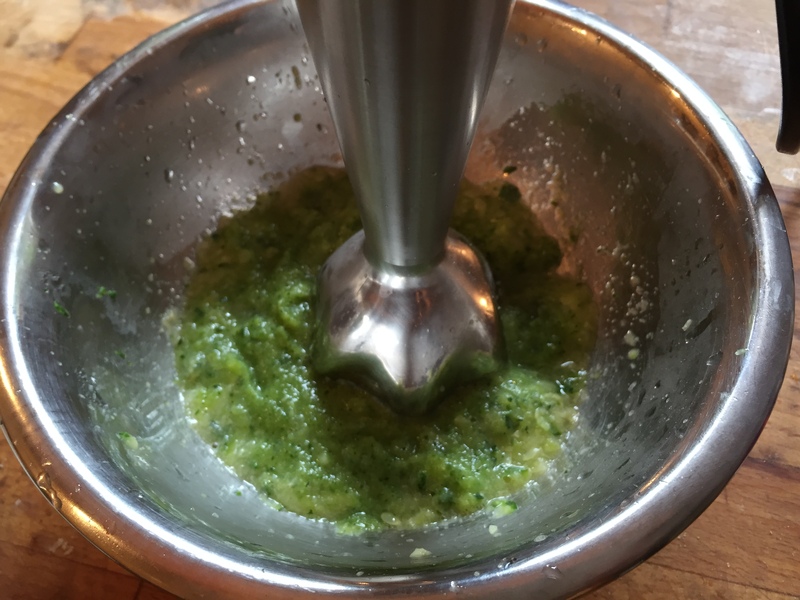 Re the blender – did not succeed in fixing the old one, so bought a new one, a bog-standard Braun as it happens to be, and jolly useful in the kitchen it is too. It is one kitchen ‘toy’ that I can’t do without. 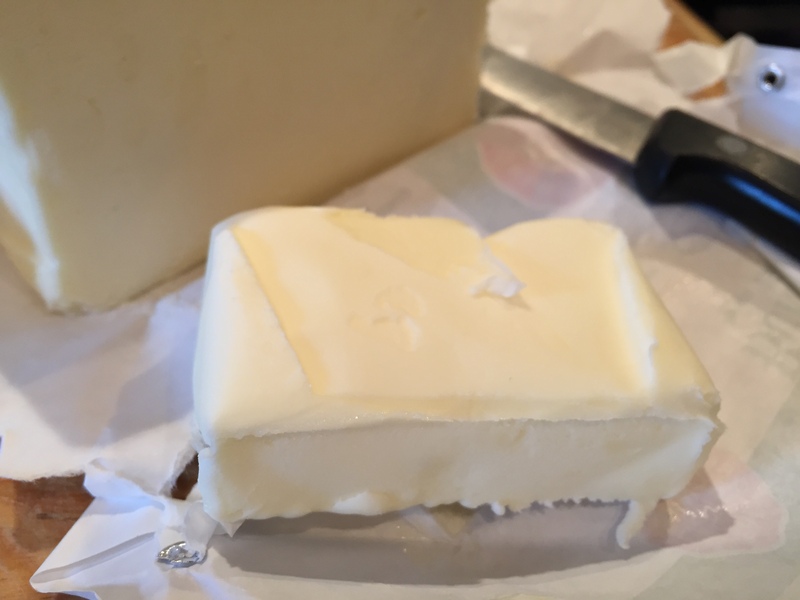 Adore Italian butter…make the best noodles and Parmigiano ever! Maybe I will revisit the blender thingy? This really was a nice Sunday meal…I’m sure it was throughly enjoyed. 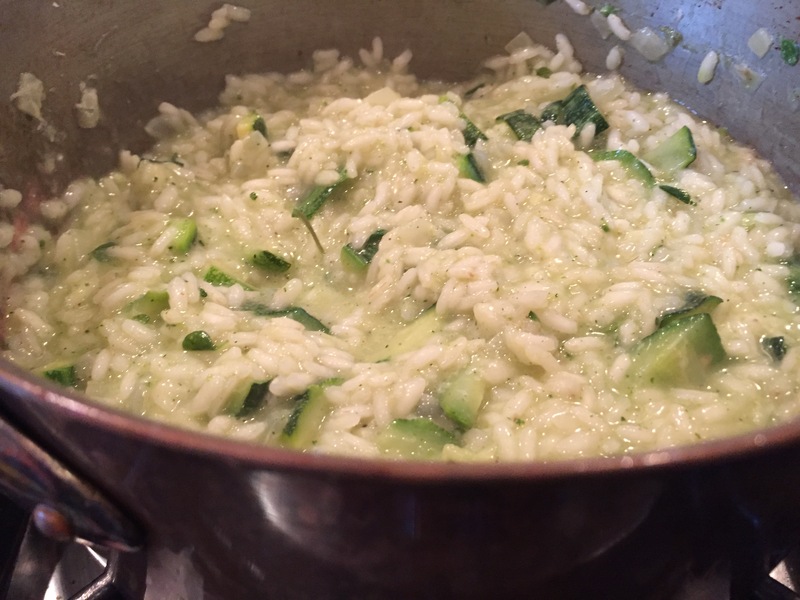 I love your triple use of the zucchini—part puree to impart flavor to the rice, part still in piece for texture. *And* the cores for the broth. Waste not, want not! And wonderful for maximizing flavor.